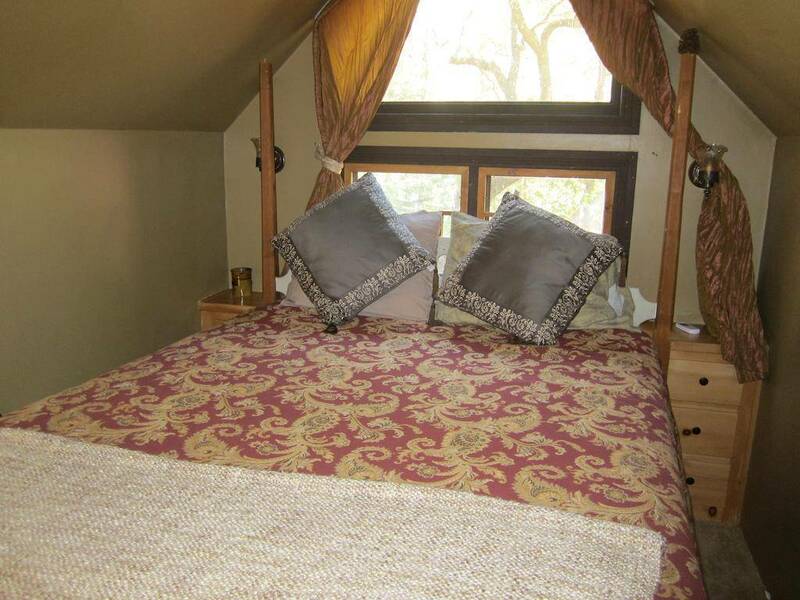 Always Inn Idyllwild’s “Sleeping Beauty” Cottage is a charming, two-bedroom hideaway, ideal for a romantic or family getaway any time of year. Stay in the spring to savor the blossoms, in the summer to enjoy the starry nights amid the gigantic pines, in the fall to bask in the spectacular foliage color, and in the winter to enjoy the snow. 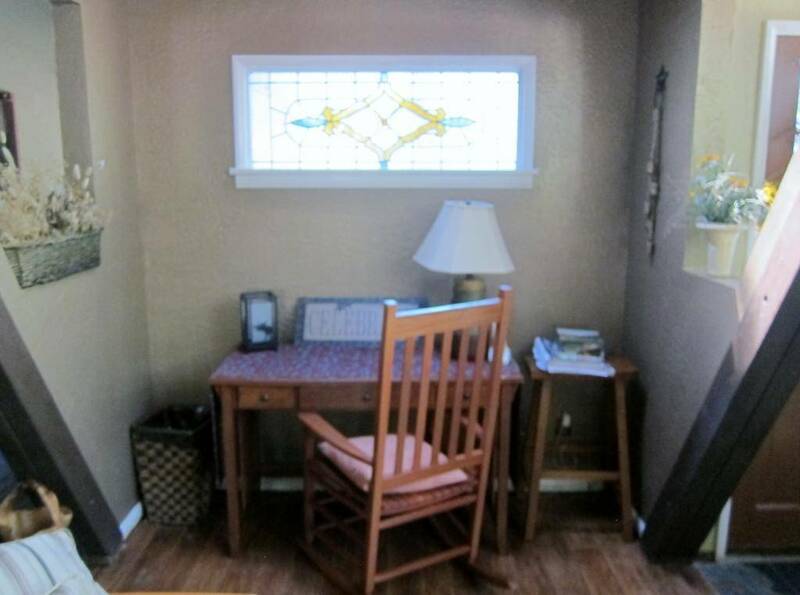 Sleeping Beauty is a “Hansel and Gretel Cottage” with custom furnishings, artwork and art deco décor. 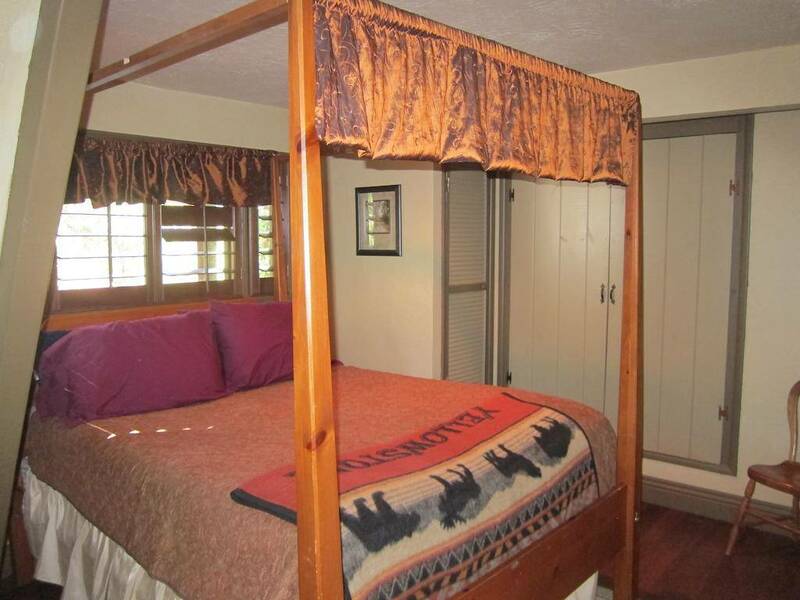 Downstairs bedroom has a queen canopy bed, custom furnishings, original artwork and closet. Washer and dryer are built in. 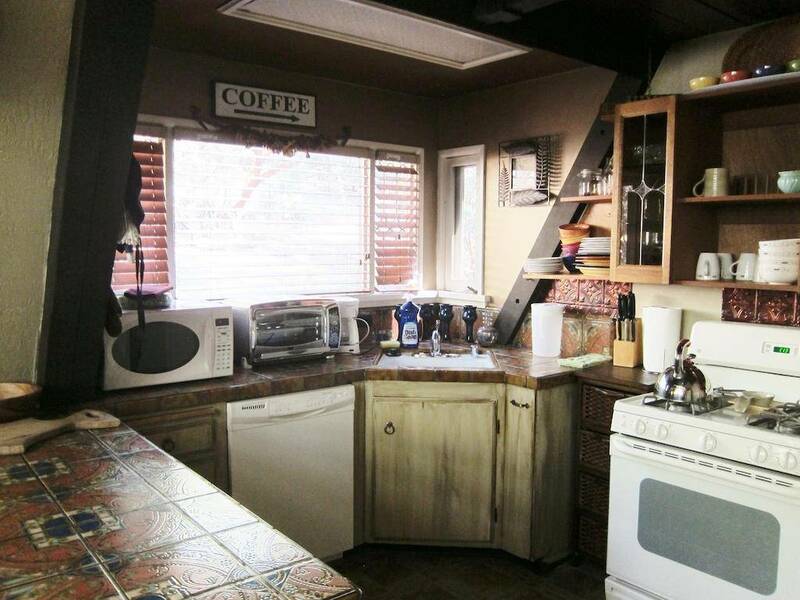 Fully equipped art deco kitchen has oven, full-size refrigerator, convection/toaster oven, microwave, pots, pans, stoneware, cooking and dining utensils, napkins, dish towels, etc. Just two hours from San Diego, Los Angeles and Orange County, Idyllwild has been attracting city dwellers to enjoy its peace, quiet and four-season charm for decades. 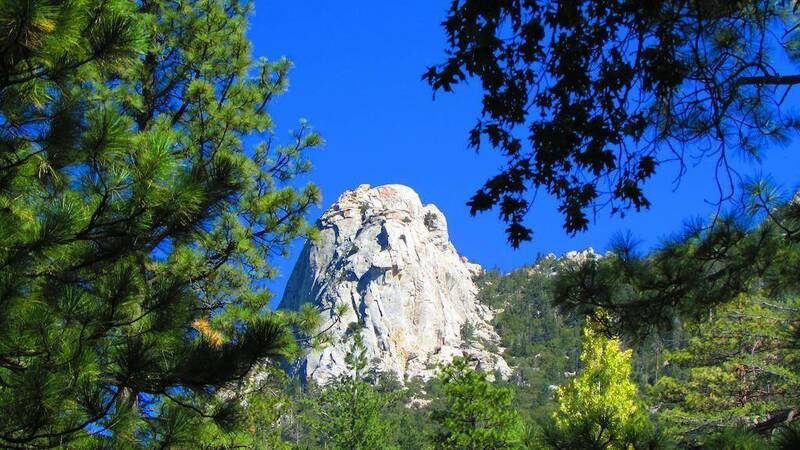 Idyllwild is a year-round outdoor enthusiasts’ dream, with mountain biking, rock climbing, hiking trails, fishing, and simply enjoying nature amid the pine and Manzanita trees and boulders. Winding, scenic Highway 243 leading up to Idyllwild is very popular with motorcycle riders on weekends. Charges for stay are paid at time of booking. A cleaning fee of $60 is payable at checkout. Reservations canceled less than 14 days prior to arrival are non-refundable. A service fee of $25 is charged for all cancellations. From Orange County, take Highway 74 to Highway 243. From Los Angeles take I-91 to I-60 to Highway 243. From San Diego take I-15 to I-60 to Highway 243. 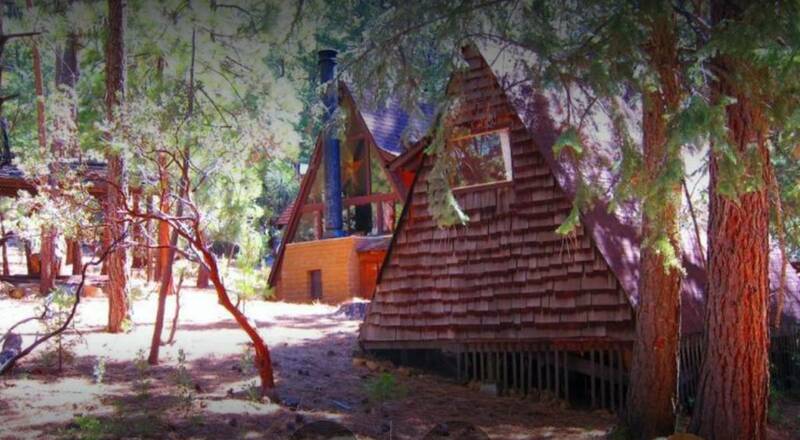 The cottage is in the Fern Valley district of Idyllwild, CA, off South Circle and Lodge.